I have worked with Edward and Nancy on a couple of large format photo books. They have been very helpful through the process, and the product and price were very good. I would, and have recommended them to many of my professional photographer and publishing friends. I have had two books printed with Star Print Brokers, Itasca State Park and Loons & Lady's Slippers of Itasca State Park, and have had nothing but positive interactions with both Nancy and Edward. The books are of the highest quality and I have been extremely satisfied with the product and the service provided in setting the book up for press. I highly recommend Star Print Brokers for anyone looking to self-publish! Nancy Starkman has always been wonderfully cooperative, and her design of my book was first rate — at half the prices I had gotten from other book designers. Only a fool would use anybody else. She printed my book, My Yacht Designs and the lessons they taught me — 1000 copies. I couldn’t be more delighted with my book, Chloe-Jasmine Whichello. I ordered 4000 copies of an elaborate hard back book with embossed french fold jackets and sumptuous materials throughout. It was a big investment on my part and I was ever so glad to have the Star team their to guide me through every step. I can thoroughly recommend Star Print Brokers. Ed is the best there is. I used him on three jobs. Each one was perfect. AND - on time, on budget, no BS, no up and extras later, no excuses. The man delivers a great product and deserves your business. If I write another book, Ed is the ONLY person I would go to. The three books: Underbelly, Spank the Monkey, Camelot Revisited. Ed is the best there is. I used him on three jobs. Each one was perfect. AND - on time, on budget, no BS, no up and extras later, no excuses. The man delivers a great product and deserves your business. If I write another book, Ed is the ONLY person I would go to. The three books: Underbelly, Spank the Monkey, Camelot Revisited. I just left you a message. I wish I could have gotten a hold of you because I wanted to personally thank you for doing such a great job on Persian Food from the Non-Persian Bride! I absolutely love how they book turned out. It's perfect. 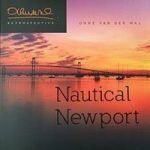 The Nautical Newport books looks great — thank you, we are very happy with the color and the printing! Landscape Plants for South Florida | George K. Rogers Ph.D. I love it ... The print quality and image quality are tops. We're on our way to the 5th printing for Landscape Plants of South Florida. We have back orders for several hundred copies already. Star Print Brokers was amazing to work with! Patient, kind, efficient, graphics help was fabulous, availability for questions . . . prompt and thorough. Finished book . . . beautiful! Walking Sticks book became an award-winning book! Thank you, Star Print Brokers. I've made many referrals! Ready to send you my next book! They’re Amazing! Edward and Nancy, the books, the work, the process ... all of it. FANTASTIC! I am so happy and delighted ... I really don’t have words, except Thank You. Going Down Sticky Toffee Lane was a labour of love for me: my great friend and fabulous chef, George, asked me, a 20+ year website designer, to make his once-in-a-lifetime cookbook. I needed a lot of hand holding and Edward patiently led me through the entire process – always professional, answering every question succinctly, clearly, and within a couple of hours. Painless! He even sent me sample books so I could judge the quality myself. I had never printed anything professionally in my life so Nancy’s decades of expertise, her advice and her passion for her artful industry were invaluable to me. Plus, they are just super nice people! – and we’re already proceeding with a second printing. Bravo to Star Print Brokers! Start Print Brokers is a wonderful service that has been an enormous help to our company in navigating the intimidating process of printing product overseas. They are experienced, knowledgeable, patient, and professional; we’ve had nothing but great dealings and results with SPB and fully intend to make use of their services on our next major release. Editor's note: They utilized Star Print Brokers to print the book and press the CD for The Music of The Lord of The Rings Films. Start Print Brokers is a wonderful service that has been an enormous help to our company in navigating the intimidating process of printing product overseas. They are experienced, knowledgeable, patient, and professional; we’ve had nothing but great dealings and results with SPB and fully intend to make use of their services on our next major release. Editor's note: They utilized Star Print Brokers to print the book and press the CD for The Music of The Lord of The Rings Films. On point start to finish... I had a wonderful experience having my Fine Art Photography book, Jungle Fever, printed so beautifully by Star Print Brokers. They were wonderfully attentive to my needs and met every deadline on time as promised. Couldn't have been happier with the results or the service. Client testimonials tell the story about our quality and service. Read our client testimonials for book printing and book design services at Star Print Brokers. We have a long list of referrals too! We hope you become our client. You can then add your name and book title to the client testimonials. Add your book’s link too and any website link. Link back to Star Print Brokers on your website too. This provides us both with stronger SEO, Search Engine Optimization, as we are sharing backlinks. Use https://www.starprintbrokers.com/ or copy and paste the URL that goes directly to client testimonials. Add your book’s link and website links to your website too. Because it’s good SEO! … and add your client testimonials! We also have portfolio posts for many books, but not everything that we print. You can instead link to your book in the portfolio. If there is ever a problem with the link, we may have retired the book to our stacks, so we can show off newer books. So, if that is the case, just see our stacks and use the URL at https://www.starprintbrokers.com/portfolio-type/book-stacks/. We’ve been working with happy authors and self-publishers since 1999. Star Print Brokers, Inc. is based in Bellevue, just 10 miles east of Seattle, Washington. However, we work with self-publishers worldwide. Please take a moment to read the client testimonials for book printing in Asia. We also have pages and pages of references we can provide. Call and talk to successful self-publishers. Read the following client testimonials, and if you have already used our book printing or design services, please add client testimonials too! If you are printing a new book, you can use our FTP, or upload your files to DropBox. After uploading, be sure to let us know that the files are there. Thank you for all the client testimonials!